In August 1968 Clinique premiered as the world’s first dermatologist based and allergy testing brand, and enriching our beauty regime ever since. From treating every skincare issue to providing us with gorgeous makeup and fragrance products, Clinique has become the go-to brand, meeting all of our beauty needs. Now, Clinique has brought out the “Pretty Easy’ new palette range, ensuring our makeup routine will be fast, simple, and highly effective. Check out these awesome new palettes to keep our chosen look of beauty, a pretty easy process. Have you ever wanted everything you need to create perfectly beautiful brows in one simple place? Well, now you can with Clinique’s new Pretty Easy Brow Palette. The palette includes brow highlighter, brow powder, tinted brow fixative, as well as 4 applicator tips. This product is allergy and ophthalmologist tested, is 100% fragrance free, and even includes how-to tips. It’s never been easier to obtain the perfect eyes to suit your mood or occasion. 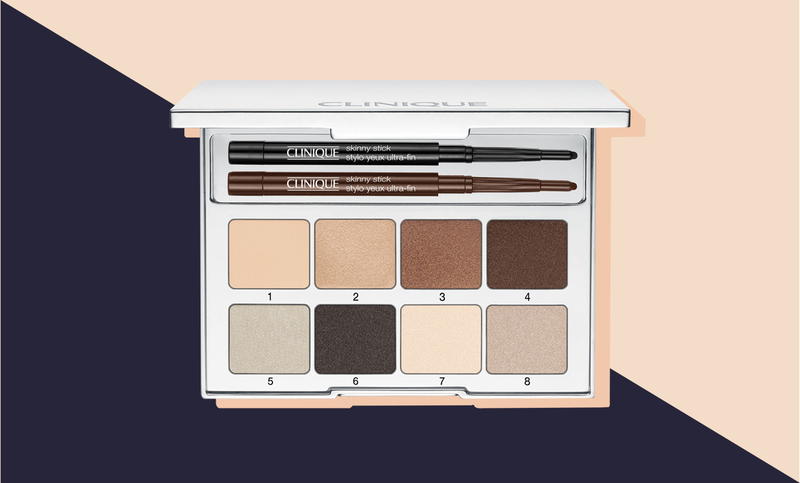 Clinique’s Pretty Easy Eye Palette contains eight different shades of long wearing All About Shadow with a diversity of finishes. Additionally, to avoid the pesky problem of broken tips, Clinique has included the Skinny Stick eyeliner in two shades, omitting the need to carry around a sharpener. Also included is an illustrated how-to booklet. This gorgeous lip palette gives us four shades of Long Last Soft Matte Lipstick and four shades of Butter Shine Lipstick. The awesome thing about this palette is that you can wear the beautiful shades on their own, or you can use the mixing wells and retractable, antibacterial lip brush to create your very own shades. As always, Clinique’s lip palette is 100% fragrance free.